Two international artists will be painting a mural that pays tribute to Helen Keller in Forest Hills in May, near where the famed blind and deaf activist and author once lived. The mural, which is being designed by street artists Crisp and Praxis, will go up under the Ascan Avenue overpass below the Long Island Railroad. The two artists are no strangers to Forest Hills, having painted a mural that features the Ramones under the LIRR on 71st Avenue. Michael Perlman, a local historian, has been working behind the scenes to bring the mural to Forest Hills for the past year. He was able to secure $6,500 in city funding to go toward the project. A plaque will go up alongside the mural that will feature pictures of Keller in her Forest Hills home, some of her hand-written notes and a history of her accomplishments. Keller grew up in Alabama and was struck by a disease as a toddler leaving her deaf and blind. Her parents hired Anne Sullivan when Keller was a child to teach her how to communicate. The story of Keller and her teacher Sullivan was made famous by Keller’s 1903 autobiography, The Story of My Life, and its adaptations for film and stage, The Miracle Worker. Keller moved to Forest Hills with Sullivan in 1917 and lived in the neighborhood until 1938. She resided at 93 Seminole Ave. during that period, which was later renumbered and named 71-11 112th Street, Perlman said. Keller threw large parties at the house that she used as fundraisers for the American Foundation for the Blind. The house burned down after she moved out and the property is now occupied by the Reform Temple of Forest Hills. Perlman hopes that the mural will make more people aware that Keller lived in the neighborhood and inspire people. He said its also a way of turning a bland wall into something more meaningful. Would love to take my art class there while it’s being done…. would this be possible!? We are probably a 15-20 minute walk from there! I never knew she lived in Forest Hills either. I hope nobody destroys it with spray paint or anything. I can’t wait to see it when it’s done. Bravo to all involved. 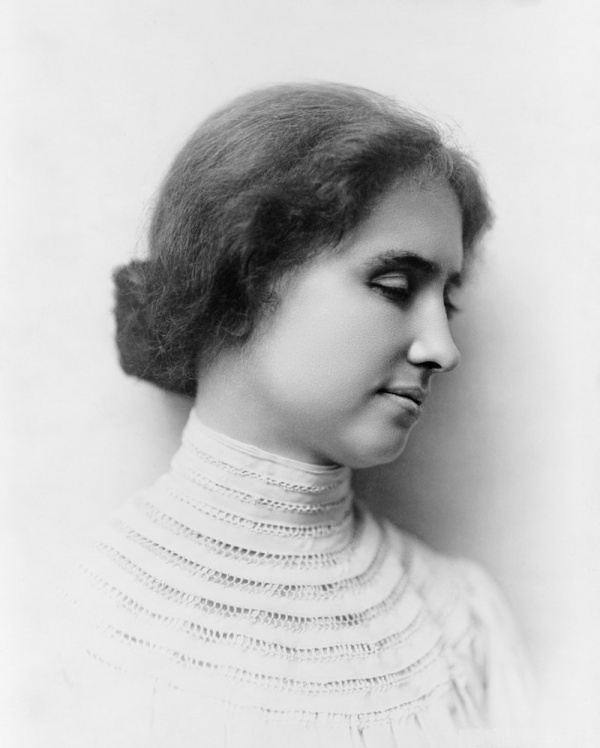 I never knew that Helen Keller lived in Forest Hills, until reading this article! So glad this mural is going to be there! I hope that attempts will be made to prevent grime from leaking all over the mural. All of the current ones are covered in drips and are barely visible. Put a gutter or something over it! Thank you for your concern and suggestion. The LIRR restored the west wall, which had a significant leak for a while. Nevertheless, the Helen Keller mural will be painted on primed heavy duty panels that will be set a few inches away from the wall, to increase the likelihood of its preservation. This ties in with new LIRR regulations. The west wall is not repaired. During the winter the areas that were repaired still leaked and were left with massive icicles resulting in more damage.